Angie began her insurance career in 2002 specializing in personal insurance in Bozeman, Montana. In 2007, she began working for PayneWest in Billings as an employee benefits account manager with a focus on working with clients to design and implement employee benefit programs, specializing in the small group market. In 2015, Angie transitioned in to her current role as the employee benefits training & development coordinator with her focus being on training employees new to PayneWest and the Employee Benefits department. In her spare time, Angie enjoys being outdoors; so golf is a past time that is greatly enjoyed, as well as camping and spending time with her husband and two “fur kids,” Keeli and Piper. PayneWest is beyond grateful for our committed colleagues and we are glad to have Angie as a part of the PayneWest family. 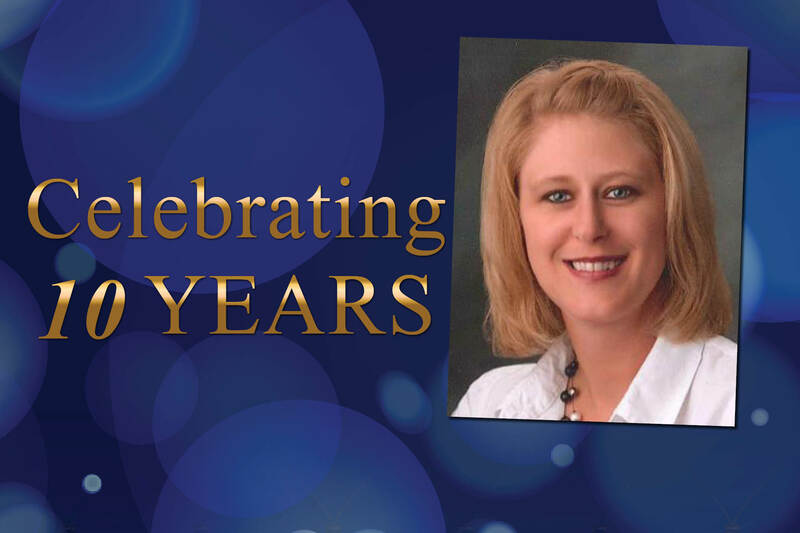 Congratulations, Angie, on your 10-year anniversary; we look forward to many more. You can contact Angie Davis at (406) 238-1963 or by email at ADavis@PayneWest.com. Find all of us at PayneWest.com/Directory.